Make the Word instantly accessible. We'll help you do it. Before you can live out Scripture, you’ve got to know it. And one of the best ways to make God’s Word a very real part of your thinking and daily decision-making is to treasure it in your memory. But memorizing Bible verses can be difficult if you don’t have a systematic plan in place. SMF offers encouragement, guidance, incentives, and tools with a 70-year track record of helping memorizers of all ages. 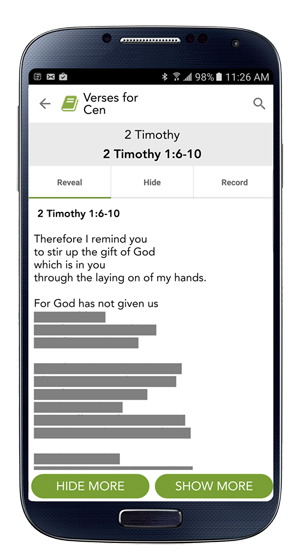 If our memory books aren’t right for you, we can gladly help you find proven Scripture memorization resources for your particular needs. Nothing gets us more excited than seeing lives changed by God’s powerful Word!